RISING STAR Jarred Cole has made a big impact on his first foray on the Professional Darts Corporation circuit and is aiming to end the season on a high. The 18-year-old is in eighth place on the Challenge Tour Order of Merit and has already reached a quarter-final on the ProTour. 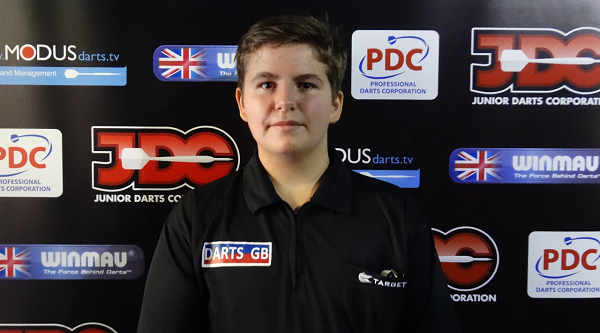 Cole, winner of the MODUS JDC UK Tour in 2017, aims to begin 2019 with a Tour Card so he is able to compete at every ProTour event going forward. He will be in contention to achieve this directly via the Challenge Tour and Development Tour, while success in the World Youth Championship would open up other possible avenues – and, if he can’t quite do enough, Cole will be a huge threat at the 2019 qualifying school. The youngster has already demonstrated that he is ready to make the step up, having reached the last eight of a Players Championship event in June – where he beat PDC title winners Vincent Van Der Voort and Jonny Clayton. It is certainly all to play for in the remainder of 2018 as Cole’s rapid development continues.